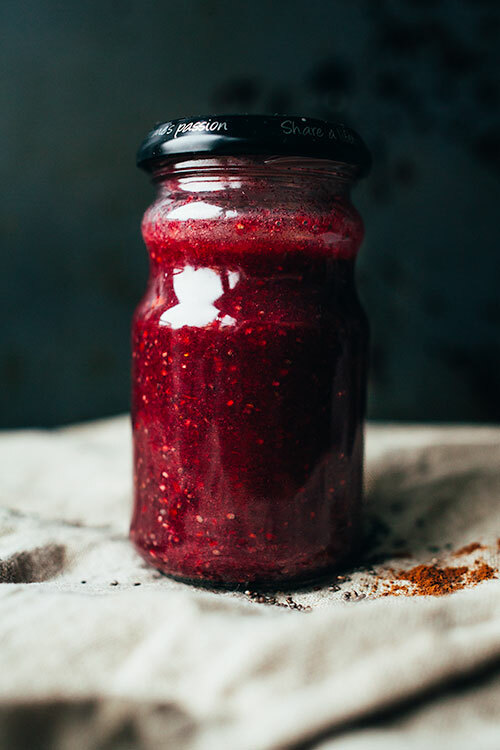 Jams and jellies are usually filled with sugar or nasty sweeteners, therefore I love making my own chia jams. It literally takes 5-10 min to prepare and then about 20 min to set. I also love them because I can make whatever flavour my imagination desires and this one is full of festive Christmas flavours! What I don’t like about buying jams in the store (even though I do sometimes) is the sugar content which usually comes to about 50% of the jar. That is insane! 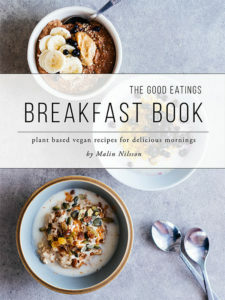 Not so good for keeping energy level throughout the day and especially bad because many of us have it in the morning as part of our breakfast. But here is my suggestion for a less sugar spiking solution which won’t take much more time than going to the corner shop. 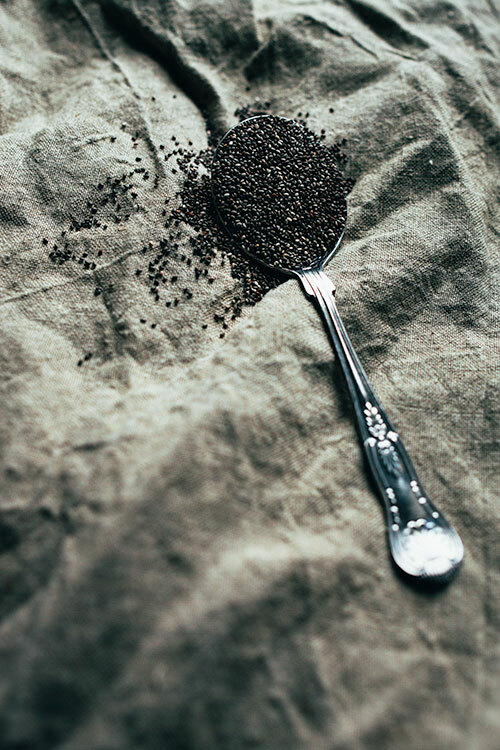 Chia seeds are great because they are fantastic binders as they gel when they come in contact with liquids. Therefore they make a great base for a raw jam. 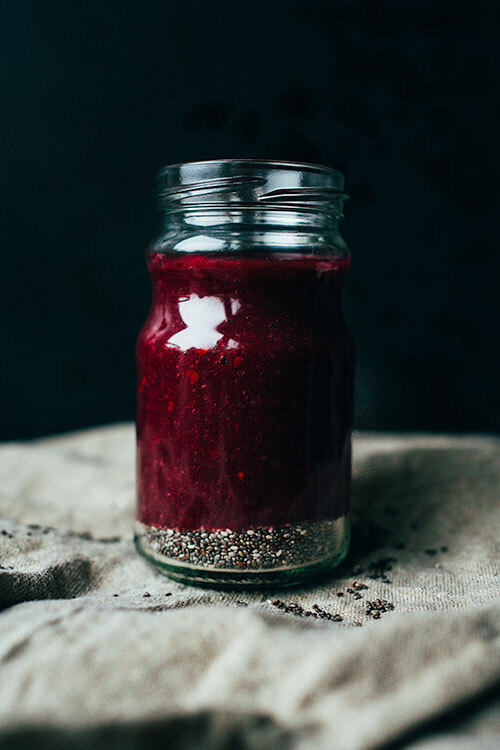 That is another key word to the greatness of chia jam; it’s raw which means it’s got all the goodness and enzymes intact for you when you eat it. 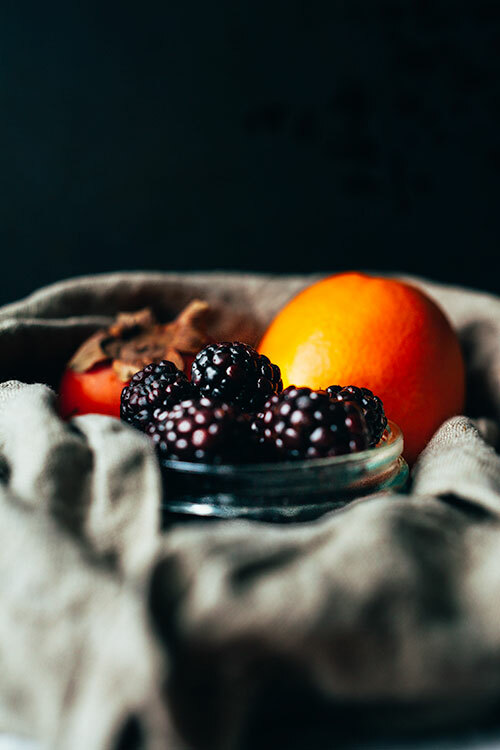 In this recipe I use sweet persimmons and fresh orange juice along with some tart blackberries. I spice the whole thing with some ground cloves and ginger but feel free to mix it up using whatever Christmas spices get you going. Fresh ginger is also perfect, just grate it in. I also don’t add any sweetener to mine as I think the fruits are enough but if you want a slightly sweeter jam just add a teaspoon of unrefined liquid sweetener like maple syrup. 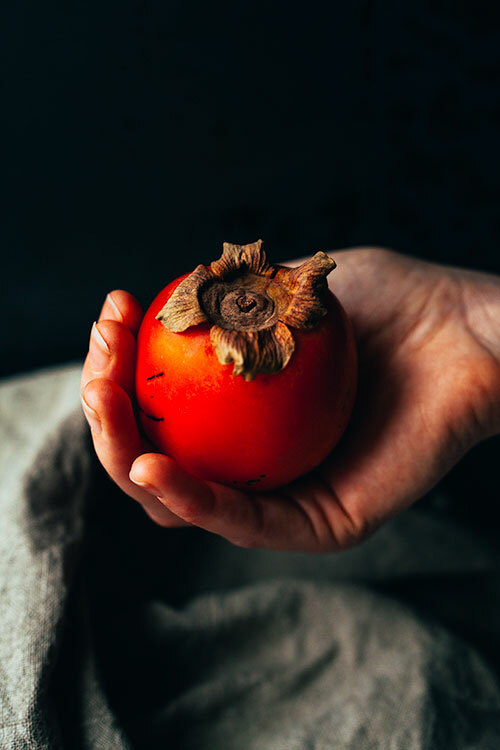 Peel and quarter the persimmon and add to a blender along with the blackberries and squeezed half orange, blend until smooth (If you don”t have a blender cut the persimmon into smaller pieces and place the ingredients in a bowl using a fork to mash them up). 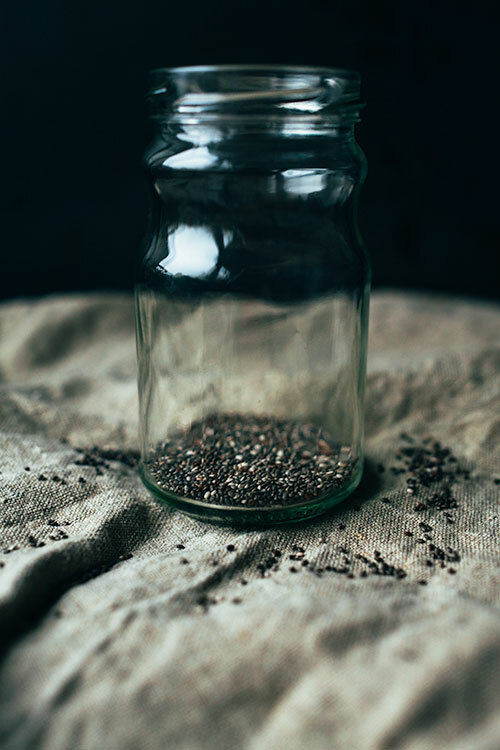 Place the chia seeds in a jar and pour in the blended fruit mixture, if you are using a sweetener add that as well. Take a knife and stick the tip of it into each of the spices one by one adding it to the jar as well. Mix thoroughly and place in the fridge for at least 20 min before eating.